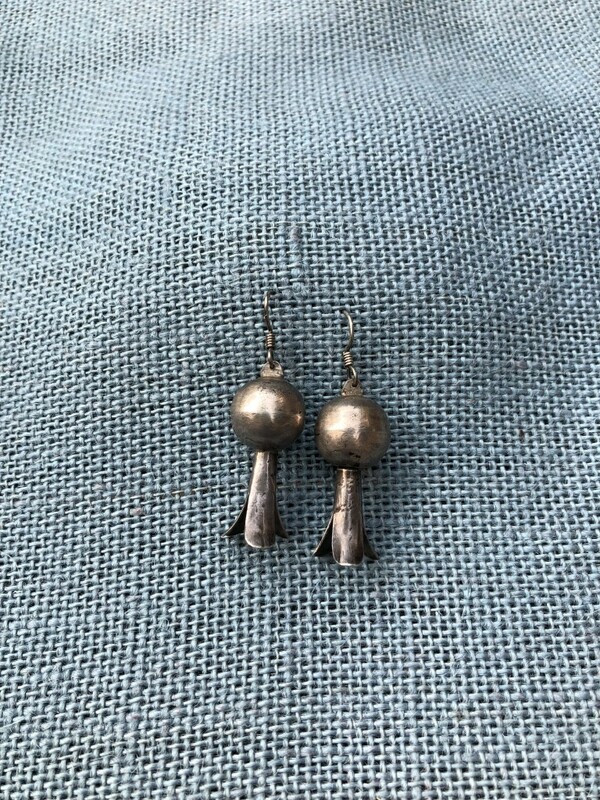 Large, early squash blossom earrings. Many of these are remnant parts of old necklaces. 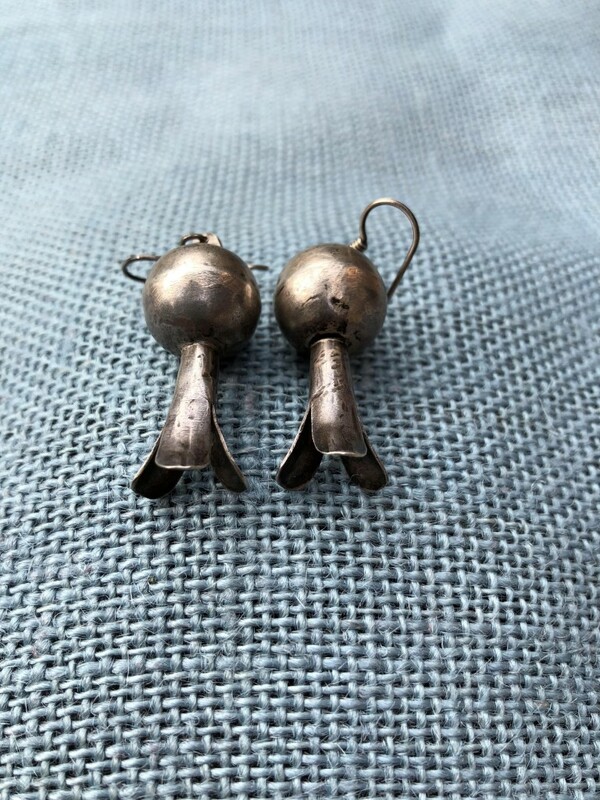 These, however, were probably intended as earrings due to the small size of the hanging device. The wires have been replaced recently. The squash portion is 1.5" long. Including the wire, 2". Approx. 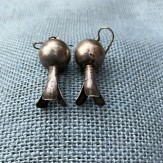 5/8" diameter. Ca. 1920.